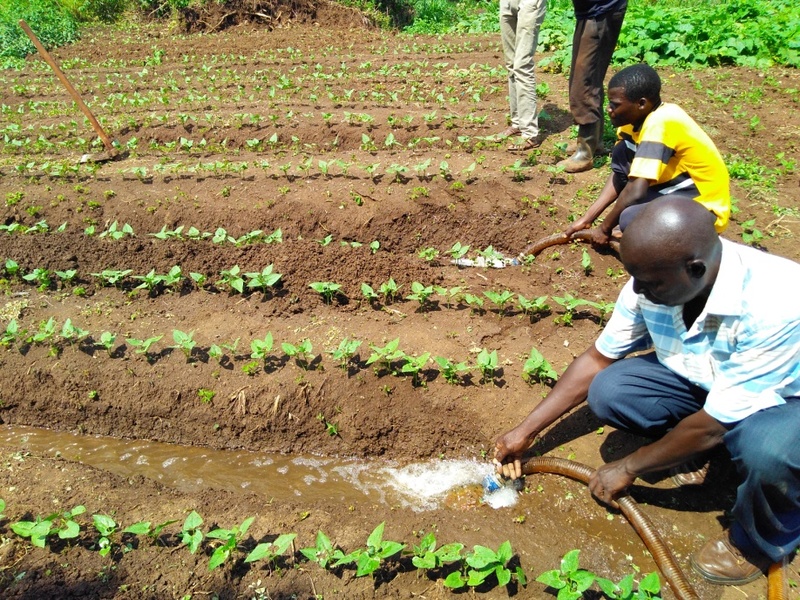 Our project has piloted a number of new approaches to irrigation and horticulture practice that are based on farmers' site-specific barriers and issues. A key aspect of this work has been ensuring that womens' concerns and challenges are specifically addressed, since in many cases the work of growing vegetables falls to the women in a given household. Raised furrow­-basins are flat beds that are surrounded by bunds, with drainage canals on the edges. Inside each basin, raised beds and furrows are made for vegetables. 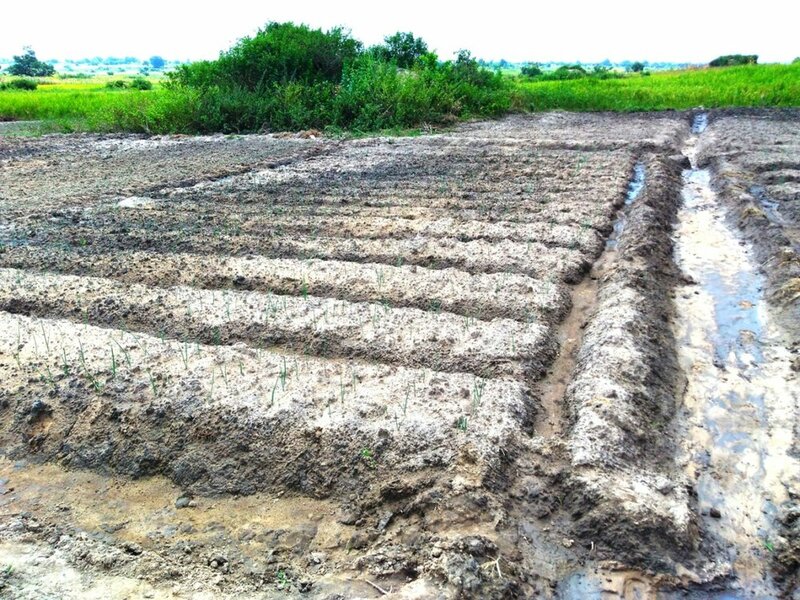 These beds can be flattened into basins during rainy seasons for rice production. Raising the beds between canals allows a deeper root area in case of rain, but efficient use of water during irrigation. Micro-furrows are very short furrows with flat, level bottoms that run along the contour of a slope, filled one at a time to allow water to infiltrate. Unlike traditional furrow irrigation, micro-furrows can be set across a moderate slope. Each furrow can be filled by an open pipe, either from a pump or gravity system. A main canal for feeding water into irrigation furrows, which is raised above the level of the field to allow easier control of water into furrows. The canal is terraced to have a minimal slope in each section of the canal. This is done to ensure an even distribution of water through discharge points in along the canal. Spiles are inserted into the sides of the canal to discharge water to the plot. Small sections of land boxed in with small bunds and leveled to be flat. Water is applied into the basin using a pipe, canal, or jerican, filled to the top of the bund. The water is held inside and infiltrates down into the soil profile. This allows very high application rates, as it prevents runoff. 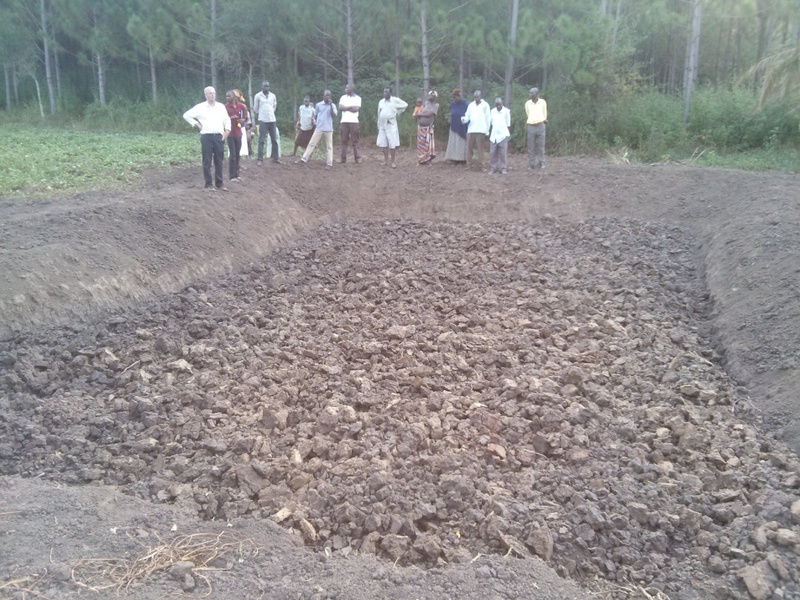 This helps farmers irrigate deeper and crops to have a larger store of water before irrigation is needed again. A system of piping that lays a buried section to the center of the field to be irrigated, and attaches a raised pipe (HDPE or Layflat) that can rotate in a circle. This mimics the layout of a traditional center-pivot system, but is manually moved to the plot a farmer desires to irrigate. In areas where the water source is below the field, a pump is necessary. Once farmers are using a pump, it is often possible to use a flexible pipe to deliver the water directly into furrows. This can be an efficient way of irrigating, since there is almost no loss on the way to the field and almost all the water ends up in the root zone. In closed furrows, water accumulates at the end if there is even a small slope, so it can be difficult to get very good uniformity of water from the start to the end of the furrow. A "tie" is a half-blockage inside a furrow, which is used to slow down the flow of water to achieve more even infiltration before and after the tie. This approach is used in closed furrows when it is difficult to get a level enough furrow to ensure even infiltration along its length. A water-powered pump uses the force of the current in a stream to turn a wheel, which generates pressure to pump water upslope. It is installed inside a stream or river, and is connected to a delivery pipe to take water to a nearby plot. This system produces a low pressure and flow, so it is suitable for relatively nearby gardens that are not elevated high above the stream-- less than 6 meters vertical head and less than 100 meters lateral distance. The pump continues all the time, so some water storage at the plot is necessary in addition to a method for distributing water. Distribution can be done with watering cans, drip systems, or any other low-pressure method. Twigs and other debris in the stream often clog the wheel, impairing its function. A method of leveling fields for furrow irrigation that requires only oxen and a tool for scraping and depositing soil. This greatly reduces the amount of labor required for leveling. Three people are needed to level: the navigator who shows the oxen operators where to cut and fill, the ox-driver who directs the oxen, and the machine operator who handles the scraper. The team moves in roughly circular motion around the field, cutting raised parts and filling depressions until the field is roughly flat. Final finishing can be done by hand-hoe.